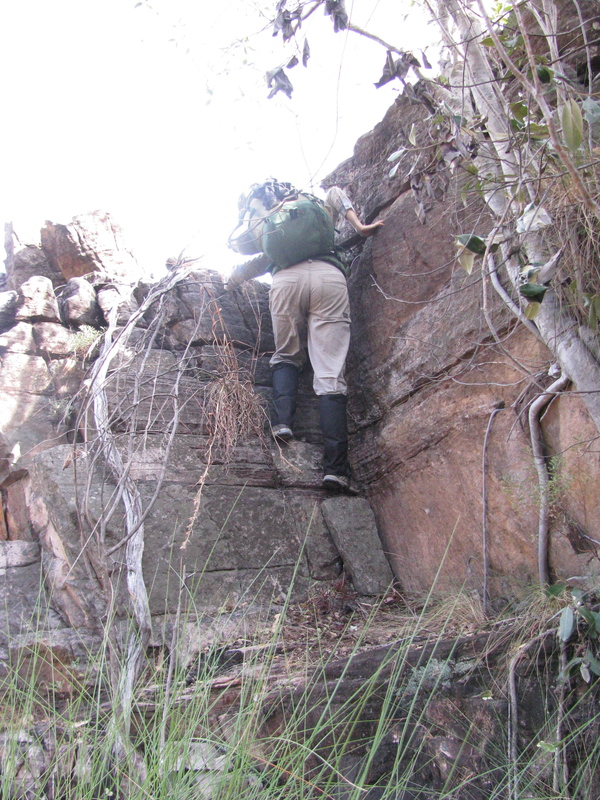 This is part of the story about my second wildflower journey, a trek through Kakadu that nearly ended in disaster. At times, my re-telling of this story is simply memories being shared, but at times I am called back to Kakadu in vision, as part of my healing journey. This was one of those times. I am laying in bed, in the room I slept in as a child, in the country I was born in. It is my fourth night here, visiting my family, and I am re-intending and strengthening the psychic dream-catcher I erected over the room on my third night. I am intrigued, because the catcher looks like the dome of a cathedral, and it seems like I am looking upwards at it, scintillating light streaming through stained-glass shapes above me. And at the centre of the dome is a lady standing with her arm raised and her hand resting on the dome’s centre, almost as though she is holding it up, ever so gracefully and effortlessly, with a lazy regal bearing. I don’t know her but her name hovers on the edge of my mind, just out of reach. Lady….. ? Later in the vision, I discover that she is Lady Nada, who is new to me. I haven’t worked with her before. Lady Nada smiles at me and with her free hand she reaches past me, down to the bottom of the dome where it touches the ground, and lifts a small section of it, as effortlessly as if it were mere tablecloth. I feel slightly miffed and confused for a moment, because these are my dream-catcher boundary edges she is messing with, but I know this is silly, because she is very obviously in charge of the entire dome itself, and I have her to thank for it. As though she has just opened the door to a guest, a see a shape enter under the edge of the lifted dome. It’s orange, long and furry and the word ‘marmoset’ pops into my mind. Pay attention, I hear Lady Nada say. So I keep my attention very firmly fixed on the marmoset and wait. “Did you know you have four tailbones?”, the marmoset asks, and flashes me a mental image of four tailbones lined up alongside each other. “Um. No, I didn’t know that.”, I reply, somewhat dubiously. The mental image of the four tailbones suddenly shimmers with intensity and zooms my focus in on the second tailbone on the left. I can see that it is damaged. Crushed. Earlier this year, on March 1st, the capsule around the cushioning disc between my lowest two vertebrae burst open, and the disc material spilled out, pressing against my spine in one of the most agonising experiences I have ever endured. The entire length of my left leg felt like it was being electrocuted and set on fire at the same time. 8 months later I still cannot walk far without limping, and I have only just begun driving again. The numbness and tingling in my leg and foot is caused by nerve damage that will be slow to heal. So I knew the ‘crushed tailbone’ image had something to do with this injury, and that I was being invited to do some healing work on myself. “What caused this crushed tailbone?” I asked, playing along with the story that was unfolding. “You fell off the edge of a cliff”, the marmoset replied. And certainly, the injury itself had occurred when my heel slipped off the edge of a step and came down hard on the ground. I ‘missed my footing’ so to speak, a simple misstep that had me screaming in rigid pain on the ground, unable to walk or move for 6 hours. But this isn’t the memory the marmoset’s reply stirred in me. No, the memory I found myself revisiting took place on a very real cliff, much grander in scope than a mere step at the bottom of the stairs: Kakadu escarpment, with cliffs stretching 50 metres above me and Goddess knows how many metres below me. 18 months before my tiny slip-up on the stairs, I was perched perilously on the side of a mountain, waiting for my two girlfriends to return from their mission on higher ground. I remember it took me quite some time to find a stable position, wedging myself safely above a small tree so that I wouldn’t slide down the sandy slope we had been climbing. In a way, it was easier when you had to keep moving, because the activity kept the adrenaline pumping, and now I was feeling dangerously tired. But I couldn’t afford to doze off when I needed every muscle in my body to focus on keeping me safe. Finally the call came from above and I could hear one of the girls returning. I nodded. I understood what she meant. As a mother, you don’t take the kind of risks you might otherwise take. The loose rocks on scree slope above us were bad enough, and I wondered how Alex’s hands were faring, because the rocks were covered in a vine with sharp thorns. Even if she had been able to climb the large rock faces above the scree, there was no guarantee she would be able to find a safe way down off the escarpment to get help, and besides, we were out of time. We were expected home within hours. It was horrible to think of the fear and worry our partners and children would go through if dusk came and went without any sign or word from us. A search party would be sent out so we might as well stay alive and tell them where to look by setting off the emergency device. Jo explained to me that she and Alex would bring my pack back down to the waterfall ledge by lowering it slowly and carefully on ropes. This would free me up to descend quickly, so I could get started on lighting a fire to attract the attention of the helicopter that would be sent out. There was a panicky moment between us when Jo rummaged in her pack and couldn’t find the lighter and then we remembered it had earlier been transferred to my pack. Relieved to finally have something to do, I happily inched my pack off my back, retrieved the lighter and carefully wedged my pack above the tree I had been using as an anchor. Jo threw me down the rope which I attached to my pack, the other end held firmly in Jo’s steady grasp. And finally I was free from my tiny perch on the mountain side! Without the pack on my back I could slide down this loose sandy stretch of slope on my bottom, shredding my trousers even further to shreds, using my feet to steer and brake. The urgency I felt made me go faster than I should have. Finally the e-perb had been let off! I had been fantasising about this for hours now, wishing for all of this to be over. Help was coming! Sliding pell-mell down the mountain slope at break-neck speed, I could hear shouts coming from above me but it took a while to make out what they were saying. When I did, my heart leap up into my throat and I couldn’t breathe. Of course! We had veered left the first time we came down this mountain, and I was heading downward in a straight line, my urgency driving me blindly towards the cliff’s edge. For a long panicked moment my feet couldn’t find anything firm to break my slide and then finally they found purchase and I came to a shuddering halt. “I’m okay!”, I called upwards to the girls with a shaky voice, feeling awful for causing them so much distress. A few shouts back and forth between us and they were reassured that I had my bearings again, and was safely veering left. I might not have fallen off the mountain that afternoon with my physical body, but later when we got home, and every time I have dared think about it since, the feeling and vision of falling off the cliff’s edge feels more real to me than the memory of stopping my slippery slide towards death. My body physically jolts when I think of it, as though recoiling from the inevitable fall that is about to come. For the first few nights after we got home, I had to sleep with the light on, and I had to hold onto my husband because everything kept moving. The ground wouldn’t stay put. I felt like I was constantly falling. Now I understand that I need to rescue myself from this vision, this haunting; I need to stop the falling for my spine to heal. The marmoset is talking to me again, showing me a psychic image of hanging off the edge of the cliff-face by my tailbone. As I Iay here in bed, my physical body is aching around my tailbone. I can feel my energy body instinctively pulling myself away from the fall, pulling back towards the mountain, but not knowing how to set myself free. “Help me!”, I cry, and suddenly a male energy is approaching me, from within the mountain itself. I recognise him: he is the cave spirit I worked with in Kakadu, two days before ‘the fall’. “Come to me”, he says. “Lean back into me”. I am overwhelmed, so grateful that he should come. “Why are you helping me?”, I ask him. “Because you helped me”, he replies. “You stopped me from feeling lonely”, he replies, and now I am weeping, tears streaming silently down my face as I attempt to manoeuvre my falling energy body back into the safety of this solid mountain spirit. I feel his gentle hands wrapping around me and suddenly I am safe. I know I need to stay connected with him and my male energy to be whole. He is showing me the vision of the four tailbones, merging together as one. “Come with me”, he says, leading me into the stars above, and I feel starlight knitting my fractured tailbone together as he holds the four pieces together as one with his hand. But the starlight isn’t enough. Strangely, I am drawn to the image of a tree. It seems familiar. I feel like I have climbed this tree, been carried by it, revisited it many times as a child. And then I see an image of my mother and my aunt as children and know that this tree is an old friend for them too. It’s a river red gum, from this country here where my physical body is now: Alice Springs. I feel like it’s sending a stream of river-sand up from its roots, up into my tailbone to help it knit together. The mountain/rock spirit man talks to me, whispering knowledge to me. He tells me this healing could not have happened until now. My physical body needed to be here in Alice Springs, exploring my roots, my family tree, my family history… which is exactly what I have come here to do. The pieces of sand are placing themselves very precisely, weaving themselves in a perfect pattern between the cracks between my tailbone fragments. Strangely, I see each sand particle being placed, and colourful, like the dots in a dot-painting. I keep seeing my uncle’s smiling face as he teaches me how to paint. It was the seven sisters I was enchanted by, and one that he had me paint over and over again. I could feel stories from the stars in each individual dot. He touches me on my fourth eye, pushing me backwards, and suddenly I am home in my body, typing this story, home in the country I was born in, putting down new and old roots.